I gathered up the thing which considered a meaning of the placement of the uphill huge stone group at a monthly pace from a mouth in Mt. Misen in last autumn in a figure of placement. 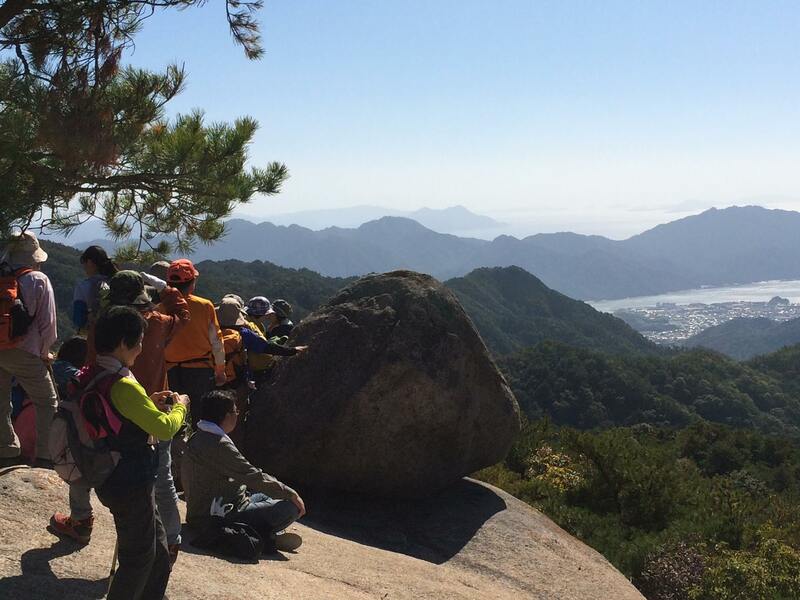 There was the numerousness of the tourist of Mt. 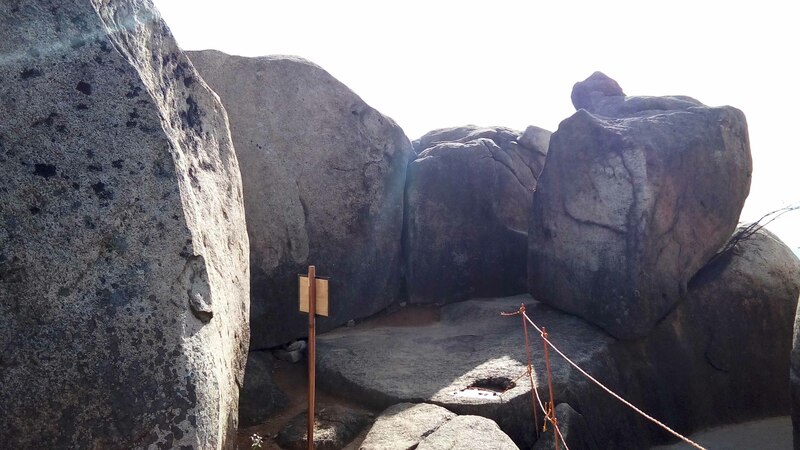 Misen at first, and a photograph was able to photograph the placement of the huge stone as hard as possible at the time when I became vacant by mountain climbing early in the morning at the time when it did not travel by the maintenance of the ropeway just to take it. 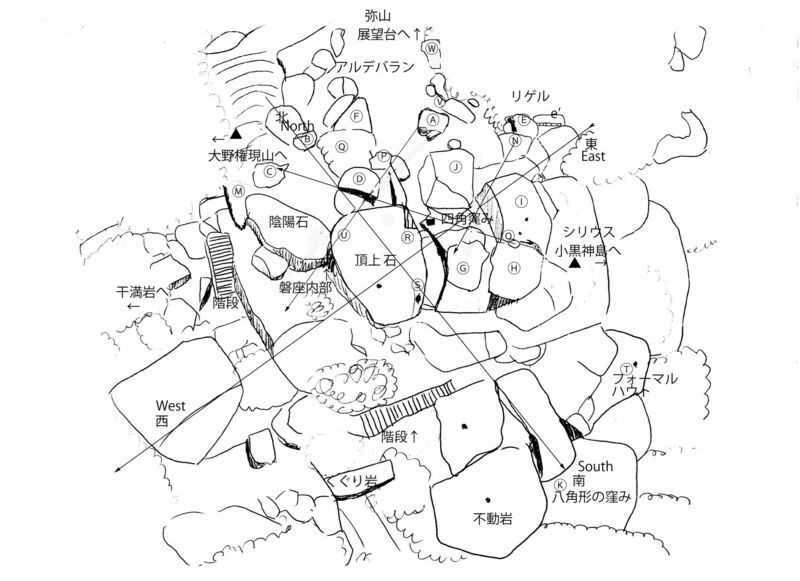 Furthermore, "Jomon" "sunsight guide 35 building publication published last year of the Kanayama huge stone group"
I predicted the sunsight of the huge stone for を reference. 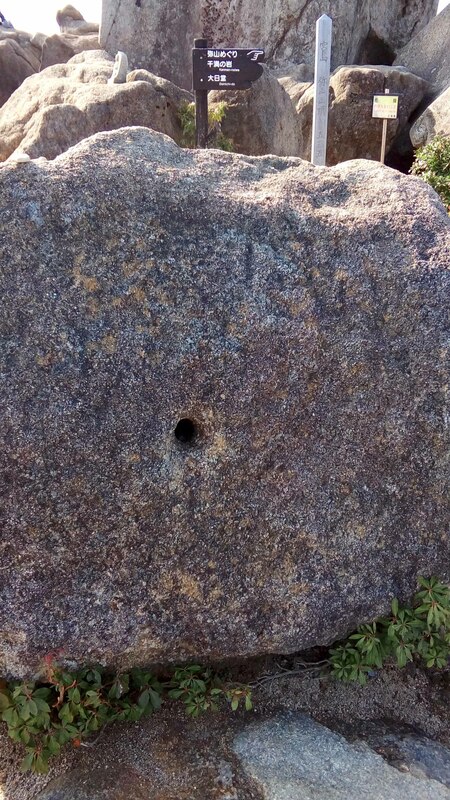 Ⓐ A stone of the form such as the bird. 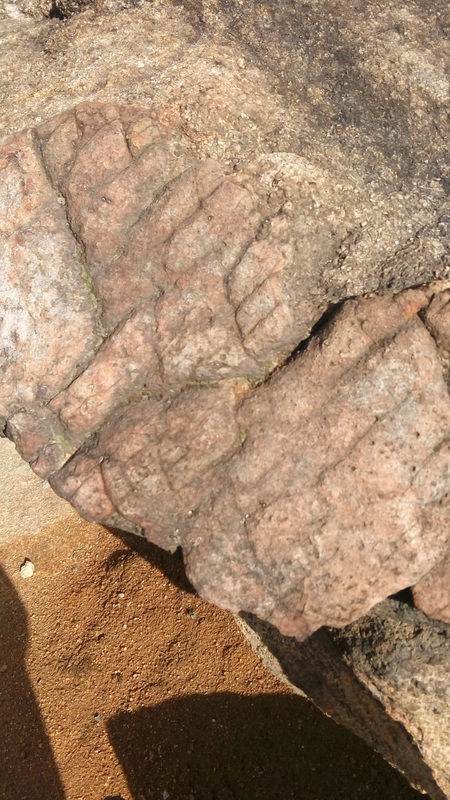 Some cinnabar red tiles different in the color remain on the surface, and do you show a feather? 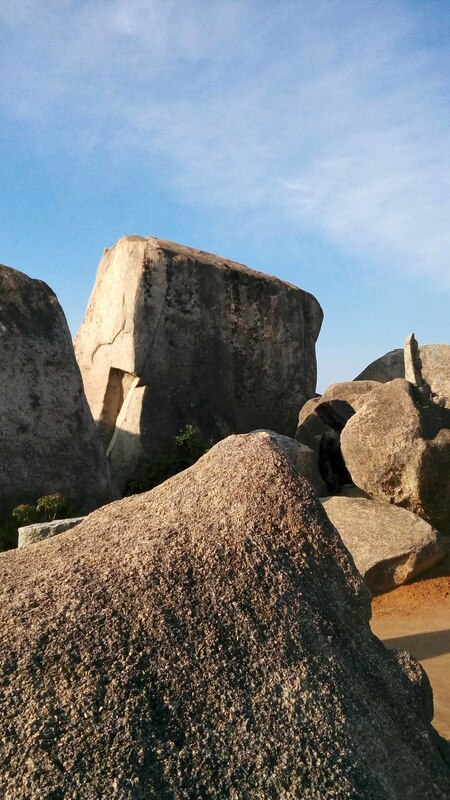 I turn to top stone and the valley which became V-shaped between the phallic stone. The direction stares at the sun setting at the sunset of the winter solstice. In the Egyptian myth, sun god Ra or the Horus turns to the west, and the figure across the sky is a bird on a ship. It is the mythical crow of the solar incarnation in the Japanese myth and is equivalent to God crow (I let you feel much) in Miyajima. 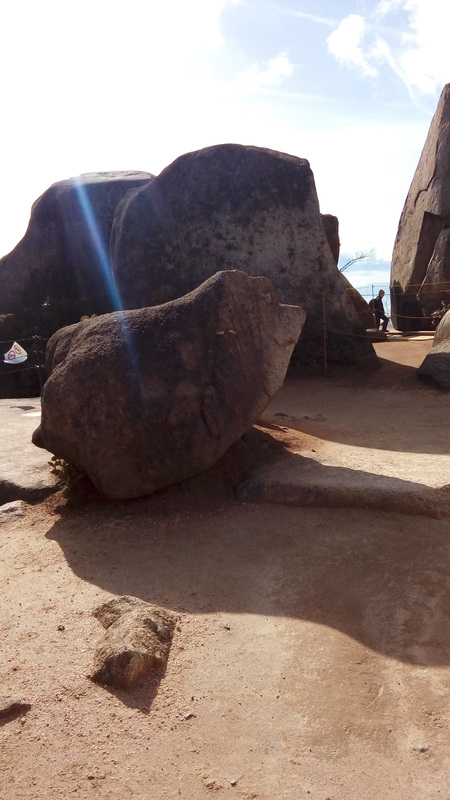 The former top stone of the bill and the point of the valley bill of the phallic stone see top stone and the valley between the phallic stone. There is a hole in the area facing north and points to the polestar. 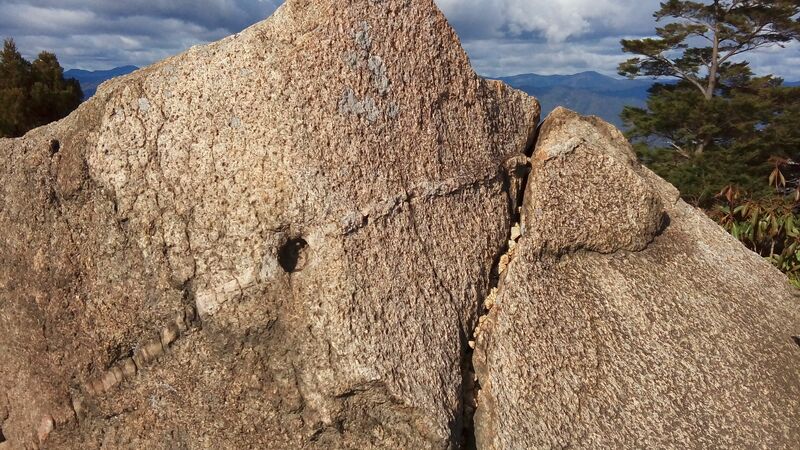 It is an observation standard to do in the south when I pull a line to a huge stone pointing at rectangular south in the south side of the sun. 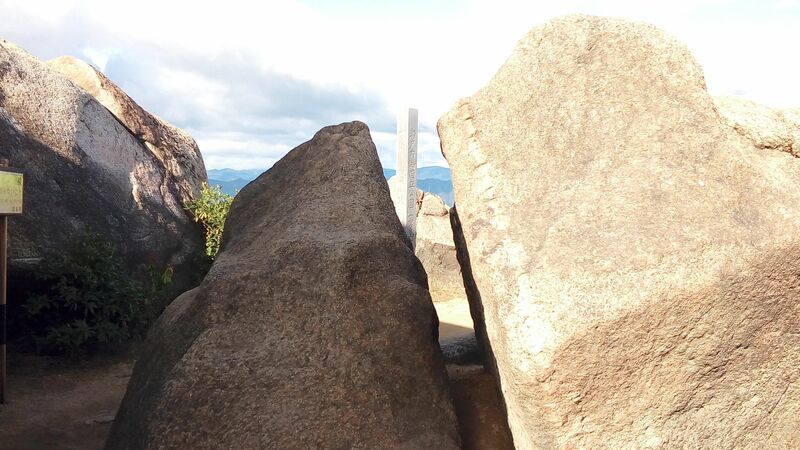 The east of the part put together of huge stone ⒾⒽ faces Oguro Kamijima. Sirius rises in the direction of Oguro Kamijima. 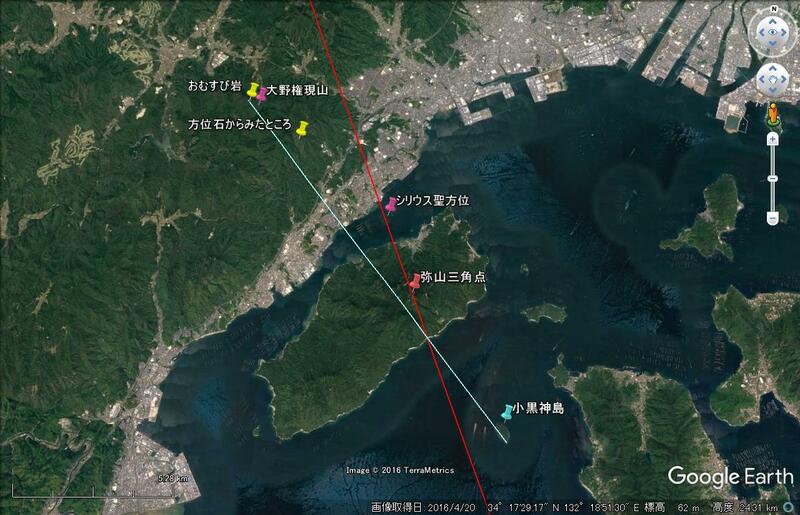 The aspect of Oguro Kamishima floating on the sea is like the scene of (Ben) of the land where there was it for the first time from the sea (ヌン) of the Egyptian mythical genesis. The Capps tone of the pyramid was called Ben Ben in form same as a pyramid, but, if anything, might be form near "a rice ball". The red line of the figure is the trace which current Sirius goes along. 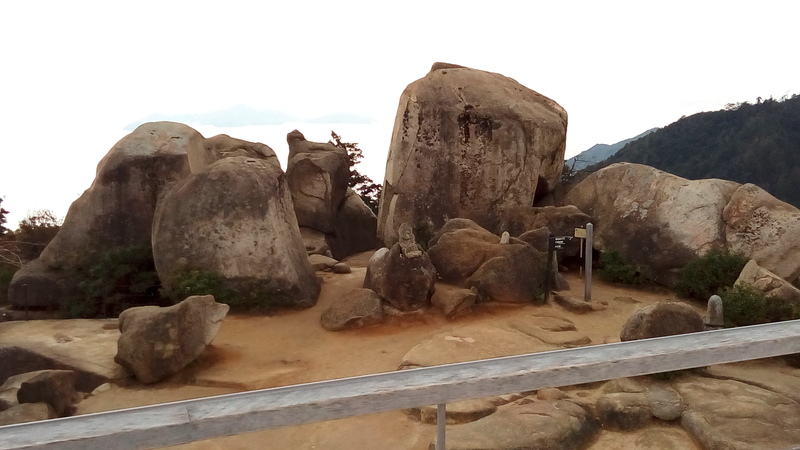 Image quotation: From Hatsukaichi tourist association Facebook Ono honorific title of a Japanese god mountain "rice ball rock"
I climb the orbit which night Sirius of the winter solstice at the time of the building of the Miyajima pyramid passes from "Oguro Kamijima" and set in the Ono honorific title of a Japanese god mountain. 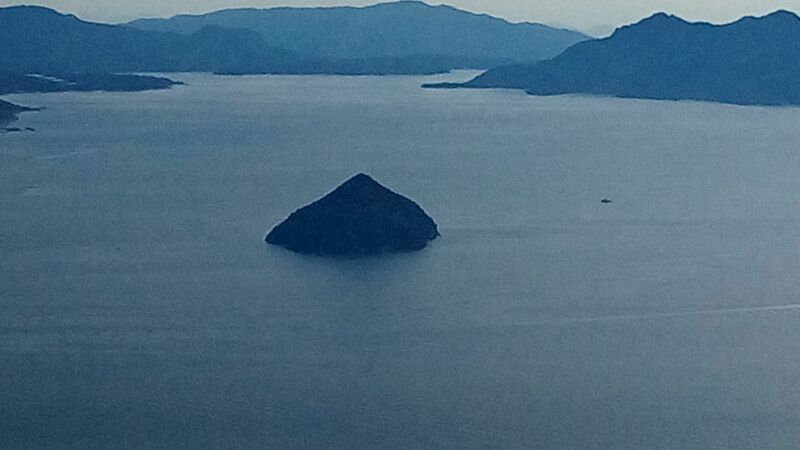 "The honorific title of a Japanese god" of the Ono honorific title of a Japanese god mountain is the figure which God temporarily appeared, and Oguro Kamishima is a pyramid-shaped mountain worshiped as "an object of worship", too.